Automated budget generation software through 2D plan. 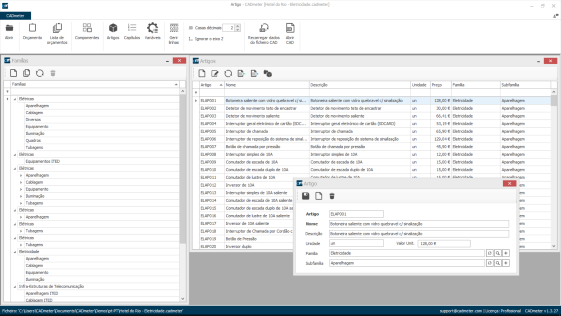 With CADmeter you can make material counts and create budgets quickly and with high accuracy. Whenever there is a change to the project, you can make the adjustment and recount immediately and without additional effort. The CADmeter is presented as a comprehensive and multi-specialty solution. It can be used to make budgets of facilities and infrastructure of the specialties: electricity, network, gas and water/sewage. CADmeter adapts to the way you work. 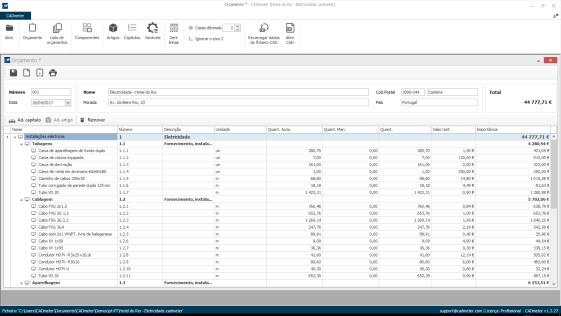 You can set the sections hierarchy to use on budgets. You can continue to use the blocks that you're used to, and you can configure the corresponding articles to each drawing structure, line or polyline. 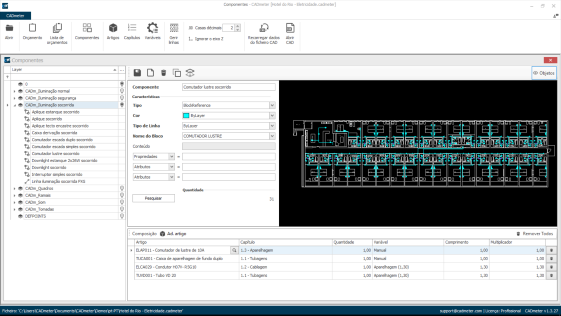 CADmeter integrates with the major CAD tools, supporting the two most used CAD software file formats: DXF and DWG. *VAT is added at the statutory rate.